For those who are dedicated to the sport of Golf or otherwise enjoy good quotes, JBRish has a page of nothing but golf quotes, quips and witicisms. New items are added every few weeks. Stop by and visit the JBRish Golf Quotes Page and start the rest of your day with a SMILE! For those who are following along, I have attended to unboxing my Fuji X-T2 and putting the strap and the lens on it. You can read about that experience HERE. One of the darnedest things about purchasing a new camera, is that you really shouldn’t try to just pop in the battery and start taking photographs even if you really do know what you are doing. Most manuals advise to fully charge the battery first so that is what I did. Now a fully discharged Fuji X-T2 with the new batteries (NP-W126s – highly recommended for the X T-2) takes about 2.5 hours. Yep, I plugged in the charger with the battery installed and waited to get going. So let me take this time to make a recommendation that I found to be a lifesaver for someone like me. What do I mean when I say: “Someone like me?” I am coming to the X T-2 from a background where I generally used primarily point-and-shoot cameras with the exception of my Nikon D3300. Don’t get me wrong, I truly like the Nikon, but it is really a beginner’s camera; nothing wrong with that. I am at the point now where I am looking to get more involved in manipulating the camera in multiple ways and spreading my creative wings. 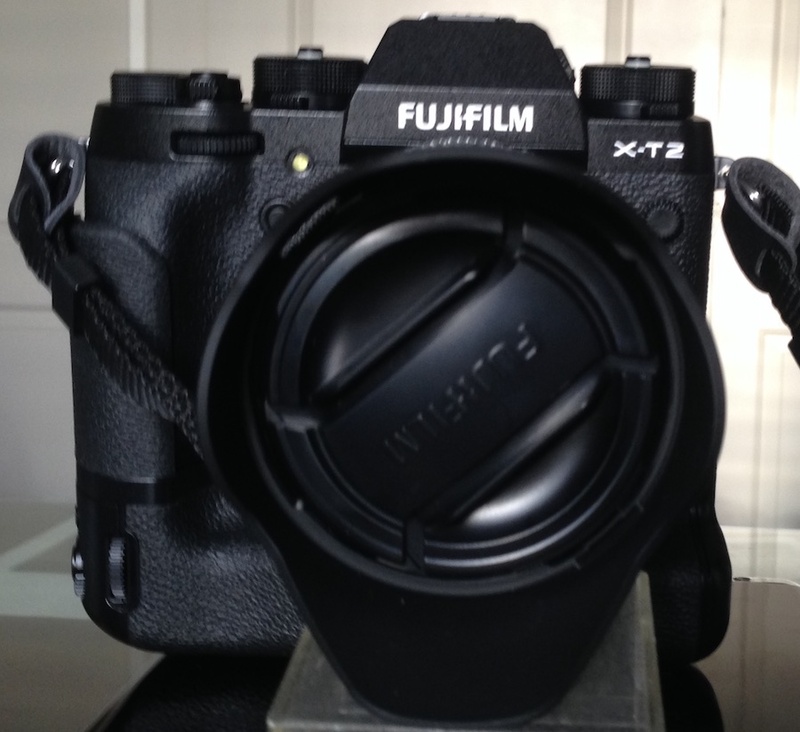 The Fuji X T-2 is, comparatively speaking, like going from a budget car to a Lexus (IMHO). The menus alone can be very overwhelming and the owner’s manual doesn’t give enough detail about what each option does or does not enable. 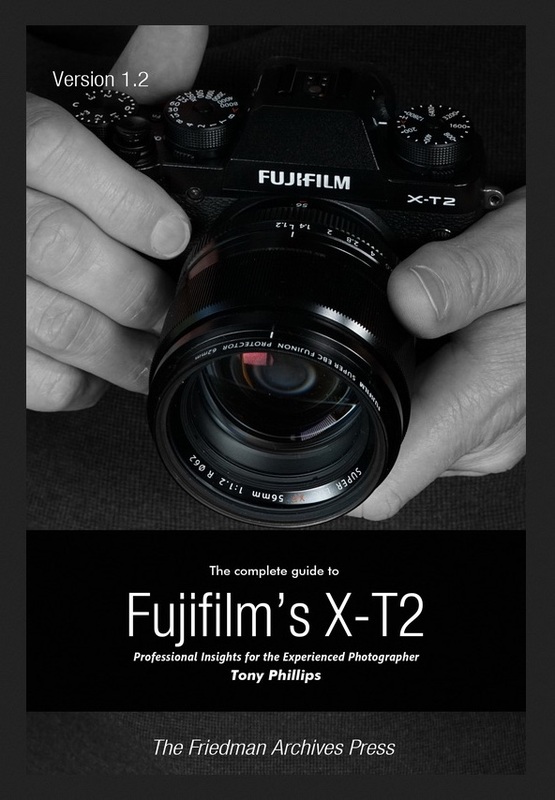 What I decided to do was to purchase the eBook:The Complete Guide to Fujifilm’s X-T2 Amazon had the paper bound book for $50 USD and the eBook for approximately $15. USD. After having dropped a bundle on the camera, I decided to go with the eBook. My Recommendation – Purchase eBook. It is well worth having. EBooks also make it easy to bookmark sections, highlight others and find the notations later! NOTE – My bad!! I previously listed the incorrect price for the printed book from the Tony Phillips website as I misread it. So I am modifying my original post to recommend the eBook as noted above. Thanks to one of the astute readers who pointed this out; sorry! Let me tell you what a “good guy” Tony is. With proof of purchase of the eBook, he will send you a spreadsheet with his list of settings for the X T-2. As you review the spreadsheet and the book Tony explains his rationale for his choice of settings. This is like learning at the Master’s knee. The settings are explained and cross-referenced to the appropriate section of the book. This alone is worth a lot as it takes users through the menus and saves bundles of time just getting the camera set up. If you get the eBook, Tony explains that it is difficult to get good graphic representations in an eBook (Kindle) as the photos and graphics tend to be on the small side. To remedy this, and with no extra cost to the customer, Tony will send a PDF copy of the book which is much more legible when it comes to viewing the diagrams, photos, etc. It is the best of both worlds. 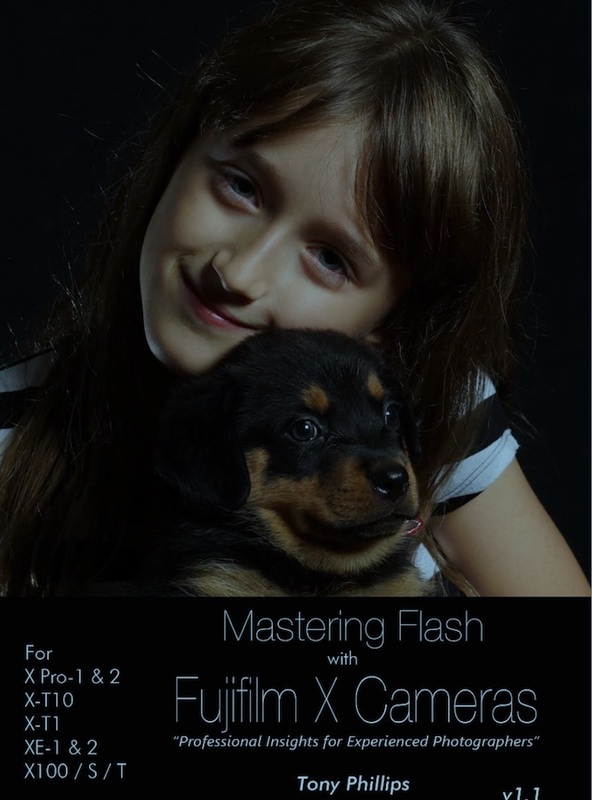 If that wasn’t good enough, Tony Phillips also offers his eBook Mastering Flash with Fujifilm X Cameras without additional cost. This was an unexpected and much appreciated bonus. Here was another issue I was able to resolve by learning about Tony’s website. Fuji has issued two firmware updates for the X T-2 and the book was printed before these updates were created and sent out to the world. At the above website, the addendum (which explains the details regarding these upgrades) can be purchased for a very reasonable $2.45 USD. How can you beat that? I bought it all and I was glad to do it. I sat down with my camera for more than an hour and worked my way through the spreadsheet and settings, stopping every once in a while to refer back to the book. I can’t tell you how many times I have opened that book to refer to something about the new camera and I have had it less than a week. I am sure it will have the requisite digital incarnation of dog ears before I am done. PLEASE NOTE – I haven’t been asked to write the above advice about the book. I am a former educator, school administrator and university instructor and I know the value of good learning materials. I receive no payment or any other remuneration for this recommendation. I am providing my honest opinion about a product I think will help many people like me, who are trying to “step up their photography game” with the X T-2. The information provided represents my experience at the time I made these purchase. You don’t have to take my word for it. If you have the Kindle App or a Kindle, Amazon will send you a sample from the book. 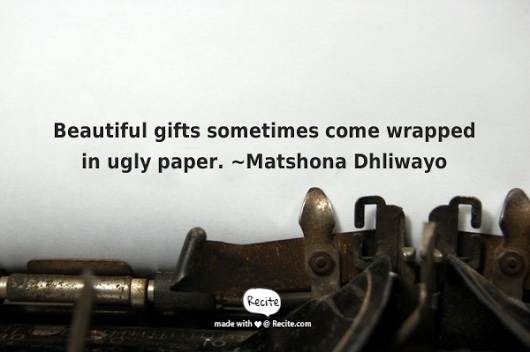 Look at the TOC and the pages sent and I think you will see the benefits right away. BTW – Tony knows about other cameras too. Visit his website to see what else he has to offer. No doubt much of this sentiment vividly echoes today. We are living in turbulent times, but we are also living in the most advanced, wondrous time the world has ever known. The video below will offer a glimpse into this proposition and hopefully some JBRish readers will find inspiration and motivation to achieve more than they thought you could. Undoubtedly some may find it a bit too proselytizing or idealistic and that’s OK too. If you don’t enjoy this style of video, or it just isn’t your thing, I hope that the quotes below, from the video, will provide food for thought. The video below has some NSFW language. Of course nowadays it may be difficult to judge what NSFW even means, but I would find some of the language offensive if my young child heard them or I had a middle schooler who wasn’t mature enough to hear them. Please consider this before you read further or watch the video. The video is comprised of numerous clips from motion pictures, lectures, speeches, etc. and it is a bit lengthy, coming in at 38:24, but it goes fast IMHO. Hello JBRish readers. I have to say that my postings may be somewhat limited over the next several weeks as my new Fuji X-T2 camera has arrived and I am dedicating myself to learn how to use it. NOTE – My apologies to anyone who isn’t like me. I celebrate everyone who has a different learning style, but I am basically a concrete, sequential person. What that means is that I like to learn everything in a logical, step-by-step progression with details and with lots of reviewing. This is my story of how I am trying to improve my photography skills and learning how to use a professional level camera; the Fuji X T-2. When you buy a modern digital camera, it really isn’t a camera. The word digital is the giveaway. It is a computer that takes pictures. One look at this piece of gear and you know you have something special in your hands. Something serious that demands your attention. It is easy to be overwhelmed and I thought that perhaps it would be difficult for me to get up and running quickly without assistance. Manufacturers don’t provide owner’s manuals that are very thorough. I am not complaining. I understand that the camera industry today is quite competitive and that everything is being done to cut costs. Still, we need to learn how to use the gear the best way we can. The Internet is a good resource, but it is spotty and doesn’t always have the information needed. 1 – When you first get a new camera, unbox it in a clear area where everything can be laid out in front of you. There is usually a page in the owner’s manual that shows what is included in the box so take everything out of the package and review all items to make sure all the pieces are there. 2 – Next, let’s talk about the camera strap! I generally don’t go in for fancy camera straps and I make do with the straps that come with the camera and use carabiners to keep things organized and to stop them from banging into each other. The strap that came with the X T-2 is a bit above par, but not exciting or extraordinary overall. If I decide later on that a different strap is needed, I will consider it at that point. 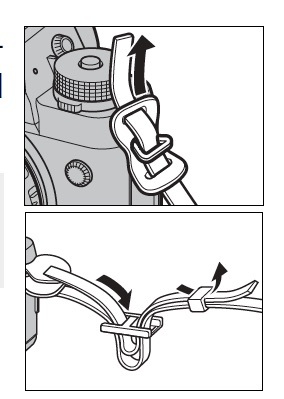 I may not be the smartest bulb on the tree (so to speak), but I really needed a bit more direction than the information in the manual to make sure that the strap is firmly and securely attached. Nobody wants their camera falling off of their body to go smashing to the ground. As an example: That piece of plastic in the middle (shown in the bottom frame), the one with the two square-ish sections with the bar in between appears to have “teeth” on one of the faces/sides when you are actually holding it. This doesn’t show in the picture. Do the “teeth” face inward or outward? I found the video below which presents a pictorial explanation. Truth must be told, I had to watch the video three times to get it done exactly as they explain! The next logical step after attaching the strap might be to attach the lens. 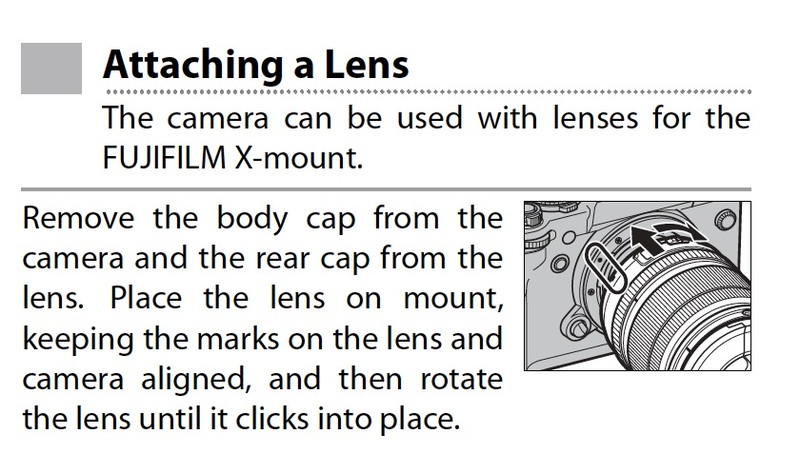 “The marks” to which they refer really cannot be seen well unless both the camera body cap and the rear cap from the lens are removed. Then, you need to line up the red dots and twist the the lens until you hear the click. It is not easy to discern the precise position using the graphics in the owners manual (IMHO). One reason why users want to do this quickly is to prevent dust form getting on the sensor and thus leaving spots on the images. Do this in as dust-free environment as possible. This was only the first few steps in getting started. We aren’t quite at the point where we get to take some pictures, at least not yet. To read more JBRish photography posts, click HERE!